Happy release day to Born to Endless Night by Cassandra Clare and Sarah Rees Brennan! 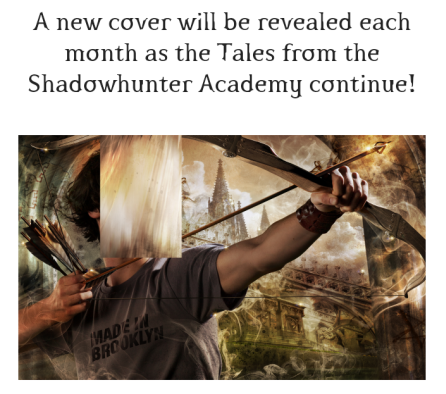 The penultimate ebook of the Tales from the Shadowhunter Academy series focuses on a topic a lot of fans have been waiting for: Magnus Bane and Alec Lightwood and parenthood. After a warlock baby is abandoned on the steps of the Academy, Magnus Bane rescues the child—and brings him home to his boyfriend, Alec. Due to the time difference between Europe and the States, I have already read the 9th installment and by the Angel, this is a must-read for all the Malec AND Sizzy shippers out there! 🙂 Tissues might be a good idea as well. Happy reading, Shadowhunters and leave us a comment with your thoughts. The next and last ebook 😦 – Angels Twice Descending – will be released on November 17. You don’t actually need an iPad, Kindle or Nook to read Born to Endless Night. If you have an Amazon account, you can download the free Kindle Reading Apps for smartphones, computers or tablets.